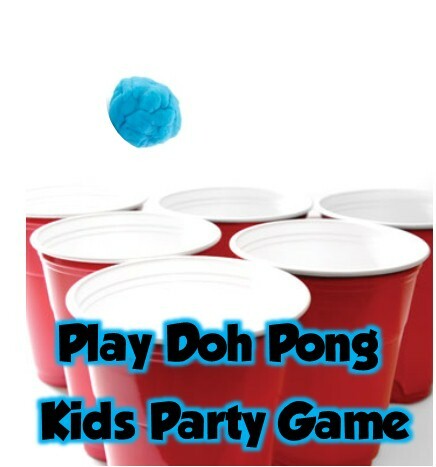 Play Doh Party Games that you never thought of. 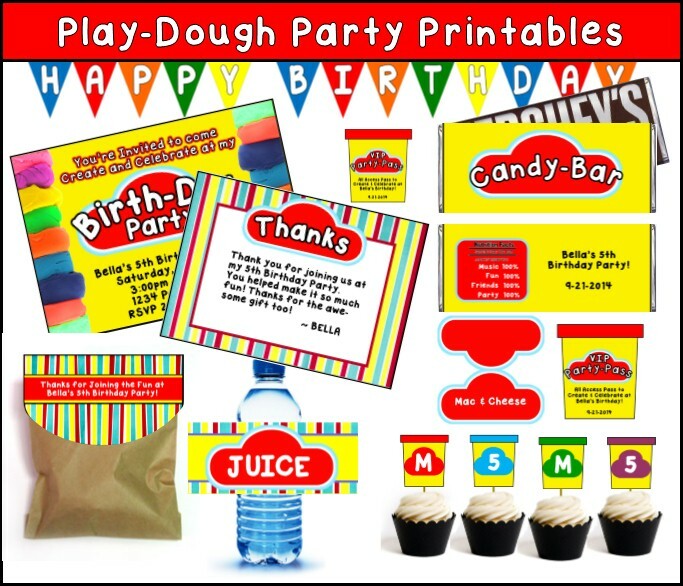 If your kid loves play doh (what kid doesn't) then a play doh party theme could be perfect for them. 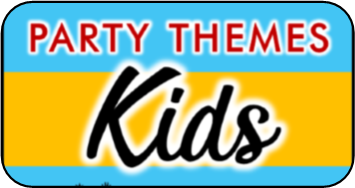 Of course you can have plenty of free play and I know the kids will love it, but if you are looking for something to set your dough party apart check out these creative ideas. I would love to hear what you think. This play doh game is played in a similar style as Hot potato, except the person who has the object when the music stops is a winner – not a loser. You will need small prizes, plastic Easter eggs and some play dough. Place the small prizes in the eggs, you will need enough eggs so that every player gets one. Cover two of the eggs in play dough to form a play dough ball. 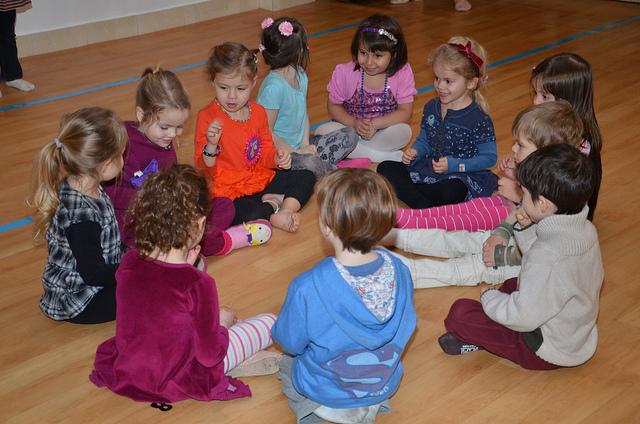 To play the game have the children sit in a circle and pass the play dough ball around while the music is playing. When the music stops whoever has the play dough ball chooses someone else in the circle to give the ball to. They cannot choose themselves. The person who is given the ball can tear off the play dough and open the egg to receive their prize. They then must sit out of the circle to give the other players all a chance to get a prize. Take the play doh from them and wrap another one of the prize eggs while they are passing around the second play dough ball you created. This way you don’t have to use a lot of play dough to cover every egg, you can just keep reusing the same two dough’s. The last player in the game receives a special prize. Mix about 50- 100 pennies into a large amount of play dough (or create smaller individual mounds) and roll the play dough into a thick, flat mass on a table. Have all the players gather around the table and give them each two plastic spoons. 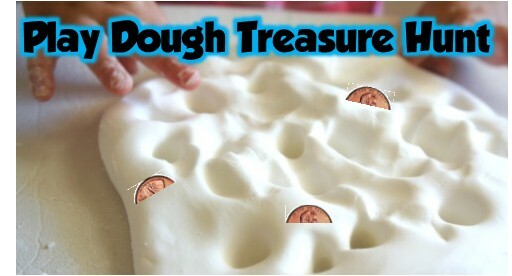 One the start of go the can dig into the playdough and collect as many pennies as they can in the given time frame. The only rule is they have to use the spoons, and the spoons only to dig and collect their “treasure”. 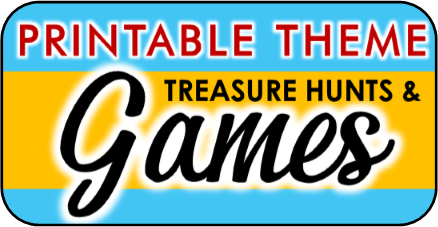 When the time is up whoever has collected the most treasure wins. On individual slips of paper write down simple things that a child could make out of play dough. Place these slips of paper into a hat or bowl. Divide the children into two teams and pick a team to go first. The first player from the team comes up and draws a a slip. They have 1 minute to get their team to guess what was on their slip using only the paly dough (no talking, or acting). If their team guesses within one minute then their team gets a point. If they don’t guess, the other team has one guess to try and steal the point. Then it is the next teams turn. Keep playing until everyone has had a turn to create, and every team has gone an equal amount of times. Whichever team has the most points at the end wins! Set up plastic cups at one end of the table in a row of five, a row of four, a row of three, a row of two, and then one to form a triangle of cups. In the bottom of each cup write a different point value – In some cups put 5, others put 10, and in others put 15. To play have each child stand and the other side of the table. Provide them with a can of play dough and a plastic spoon. Give them two minutes to create as many play dough balls as they can and use the spoon to try and flick them into the cups. At the end of two minutes count up their points. Whoever has the most points at the end wins. 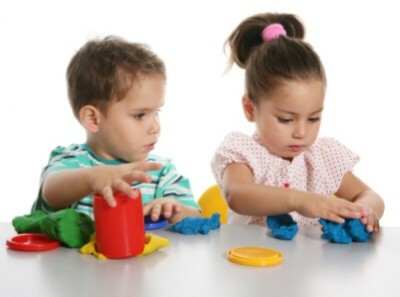 Have the children sit in a circle around a play dough friendly surface. If you want to play on the floor you can give each child a trash bag to use their play dough on. Go over the basic play dough shapes creating a ball, a “snake”, and a “pancake”. 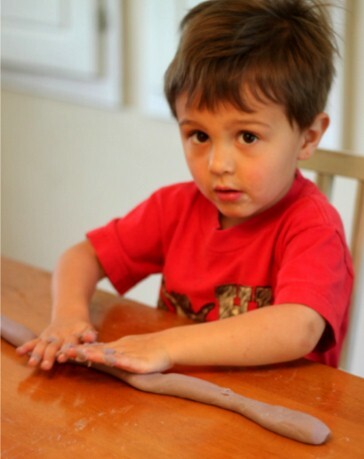 Give each child one clump of play dough and explain that when you blow the whistle they will have 10 seconds to create either a snake, ball, or pancake. After 10 seconds randomly call out one of the shapes. Whoever made that shape gets to continue to the next round. Continue until only one player is left, that player gets to be the caller for the next round. Rounds go pretty fast in this game so they should be able to play several. 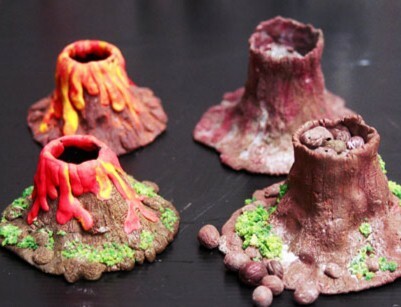 Provide every child enough play dough (1 tub) to build their own mini volcano and a dixie cup. Give the children enough time to create a volcano around the Dixie cup, the Dixie cup should serve as the whole in the middle. Have an example made for them to look at while making theirs. 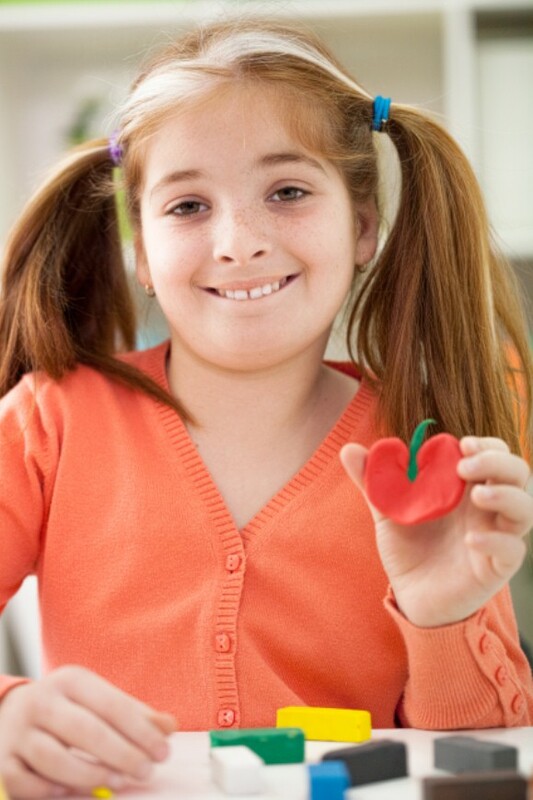 To erupt the volcano’s fill each child’s volcano with about two tablespoons of baking soda. In a plastic cup for each child mix vinegar (about ¼ cup) and a few drops of red food dye ( or let them choose another color). When you are ready let them pour the cup into their volcano and voila! Fun for all. Note: Have them build their volcano in the center of a strong plastic disposable plate for easy clean up. Provide each of the kids with a tub of play dough. Have all the children sit in a circle with their backs to each other. Call out a theme; example Animal, Shape, Candy, Letter, Pastry, etc. Give the player 1 minute to create something with that theme. When the time is up everyone turns around to face the center of the circle. Let everyone show what they made. Points are determined by how many people thought of the same thing to make. So, for example if the theme was ANIMAL and four people made cats, two people made fish, six people made dogs, and one person made a penguin then all of the people who made cats would get 4 pts, all the people who made fish would get 2 pts, all the people that made a dog get six points. Of course I believe that points should be awarded for originality as well so if someone created something that no one else did they are awarded three points.